Ryan McBride was 19 years old and playing for his local junior team when he was asked to come and train with his local League of Ireland club Derry City. His dream was to play for the club, he lived just 100 yards from Derry’s Brandywell Stadium and would walk past the ground every day. Ryan soon made the first team squad, picked up the man of the match award on his full league debut and went onto play 177 games, enjoy 79 victories, keep 66 clean sheets and score 13 goals.  His greatest achievements were winning the FAI Cup and League Cup, being named in the League of Ireland XI and becoming captain of Derry City in 2015 leading the team out 57 times. At points in his career Ryan had chances to leave Derry for more lucrative offers he stayed loyal at remained at the club. At the beginning of the 2017 season Ryan was regarded as the best defender in the League of Ireland and Derry had a perfect start to the season winning 4 from 4 and beating champions Dundalk. Ryan scoring his side’s 3 rd goal. Ryan played his last game on 18 March 2017 – a 4-0 win over Drogheda. The next day Ryan passed away in his sleep – he was just 27 years old. Ryan was loved and respected throughout the country and thousands, including the President of Ireland, came to his wake and funeral. The people of Derry carried him through the streets of the Brandywell one last time with his number 5 shirt draped on his coffin. Although often described as a warrior on the field Ryan was unassuming and a gentleman off the field. Fans and players all over the country paid their respects and hung banners in Ryan’s honour. He left behind his long-term partner Mairead, his father, three sisters and two nieces.